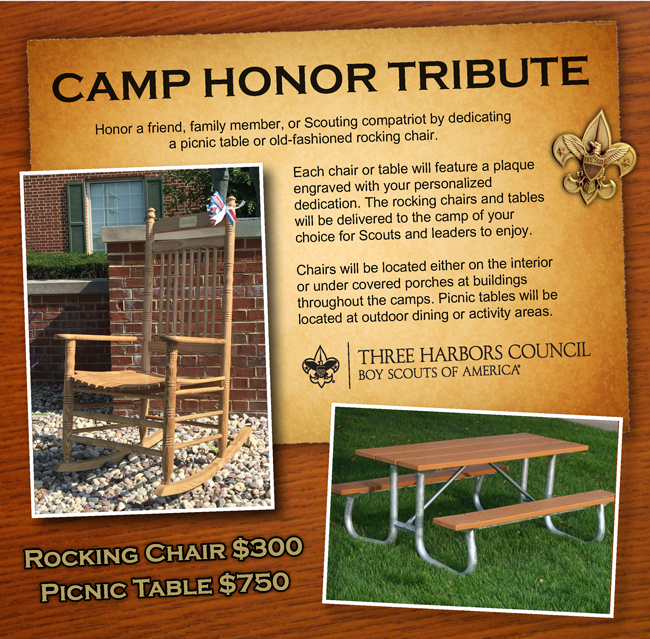 Honor a friend, family member, or Scouting compatriot by dedicating a picnic table or old-fashioned rocking chair. Each chair or table will feature a plaque engraved with your personalized dedication. The rocking chairs and tables will be delivered to the camp of your choice for Scouts and leaders to enjoy. Chairs will be located either on the interior or under covered porches at buildings throughout the camps. Picnic tables will be located at outdoor dining or activity areas.